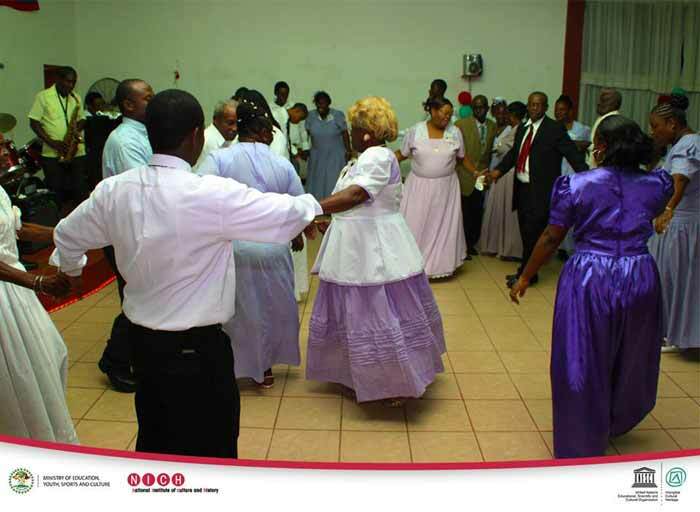 The National Institute of Culture and History, NICH, through its Institute for Social and Cultural Research, ISCR, takes pleasure in advising the public of upcoming and ongoing cultural activities celebrated in Belizean communities during the December Period: Las Posadas, Grand Ball, and the Christmas Bram. These cultural celebrations, among others, form part of Belize’s Intangible Cultural Heritage. Intangible Cultural Heritage or living heritage refers to practices, traditions, cultural expressions, knowledge and skills handed down from generation to generation. This heritage provides communities with a sense of identity and is continuously recreated. We take the opportunity to applaud all communities actively involved in the preservation and safeguarding of our living heritage. 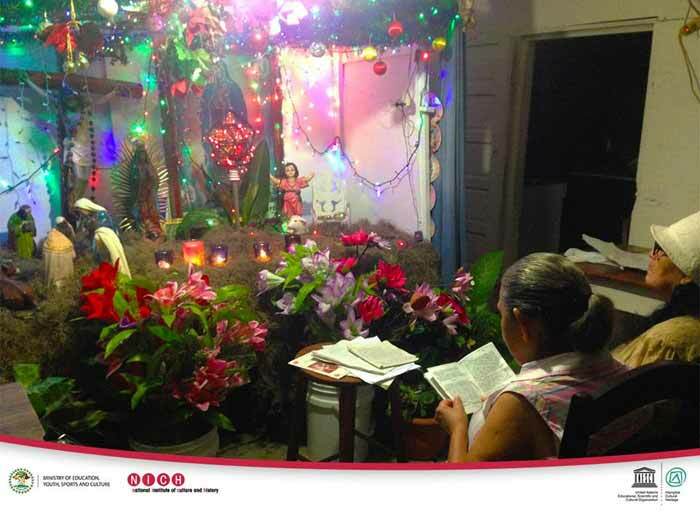 Las Posadas: Las Posadas is practiced in Benque Viejo, San Ignacio, Yo Creek, Orange Walk Town, and other communities. It is a religious commemoration of the Blessed Mary’s and Joseph’s travails on their journey to Bethlehem. The celebration begins on the 15th or 16th December and concludes on Christmas Eve. On each of the nine nights, a young couple carries the statues representing Mary and Joseph as they visit different houses asking for posadas or “lodging”. On 24th De¬cember, gifts are offered to the baby Jesus in the manger, thus completing the nativity scene. Christmas Bram: Christmas Bram is a festive celebration held on the 25th and 26th December in Gales Point Manatee. The celebration originated within Kriol communities when mahogany cutters returned to their families at Christmas after long periods away at camp. It commences on Christmas afternoon led by the local band and villagers who parade and dance through the streets. Brukdong songs illustrate the African heritage and tells of recent happenings in the village. In the night, partic¬ipants perform the Sambai, a fertility dance where dancers gather in a circle around a fire. Grand Ball: Grand Ball is a festive gathering for social clubs and associations who perform classical European, American, and Belizean music and dances including Quadrilles, Polka, Waltz, Bolero, and Punta, among others. 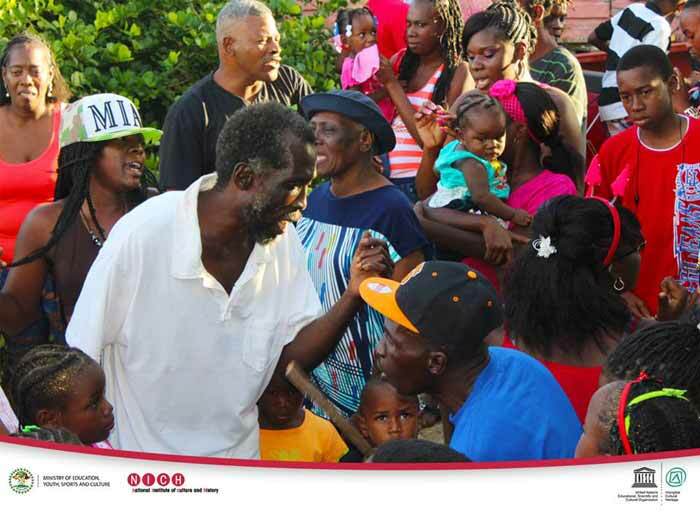 Grand Ball originated in Belize City during the colonial period and survives as part of the Christmas traditions in Dangriga Town, Georgetown, and Hopkins, Stann Creek District. Today in Dangriga, the Young Men Sporting Association (YMSA) and the Old Citizen’s Sporting Association (OCSA) host their Grand Ball on the 24th and 31st December while the Georgetown Association and Hopkins Association host theirs on the 26th and 29th December, respectively.